By the mid-1930s, 80% of the businesses on the Monterey Wharf were Japanese owned, fish markets and abalone processors. In August of 1909, the end of salmon season, the Monterey Daily Cypress reported that there were 185 salmon boats fishing the bay; 145 of these boats were Japanese-owned. 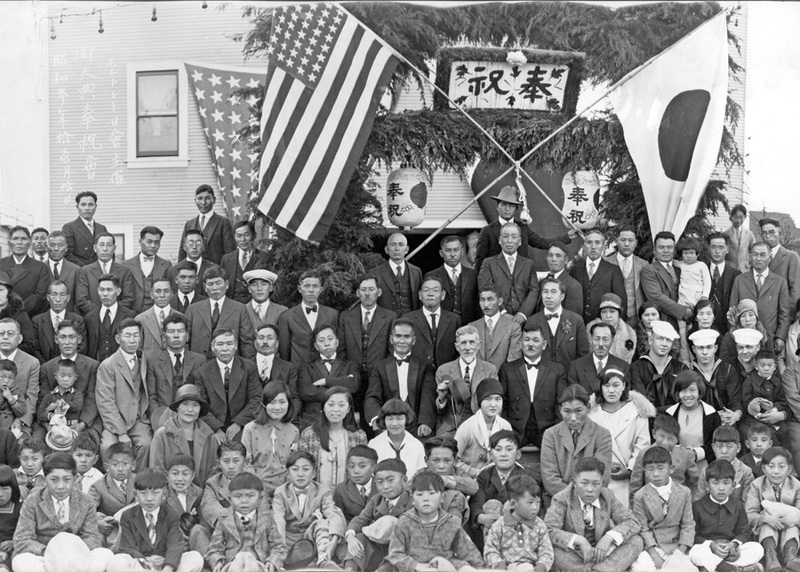 The Monterey Peninsula Chapter of the Japanese American Citizens League was founded by eighteen charter members on January 25, 1932, just two years after the national organization was formed. In 1926, local Issei leaders envisioned and initiated construction of a Japanese Association Hall. This Hall would serve as a center for community events, a general meeting place, and a venue for providing legal and social services to immigrants from Japan and community members. In 1941, property title for the Japanese Association Hall was transferred to the local JACL and in 1942 the building was renamed the JACL Hall. It is now recognized as a historical landmark by the City of Monterey. Your JACL membership matters. Be a part of the thousands of JACL members who, like you, believe in social justice, cultural and historical preservation, and community empowerment. Click below to get more information and to JOIN. Most of us have been to a cemetery, probably to attend the burial ceremony of a family member or close friend. But how many of us have strolled more leisurely through a cemetery to see what tombstones can tell us about a community’s history? Cementerio El Encinal, operated by the City of Monterey, reveals much about the Japanese community in Monterey.